Does character count only when it’s convenient? Does Bill Elder’s character, values, and morals matter? He is the top cop in El Paso County; should his values match those of our community? Back in 2014, The Colorado Springs Independent wrote an article about Bill Elder and other candidates running for Sheriff. Read Story. There is a lot of interesting facts about Bill Elder and his supporters. At the bottom of the article it states Bill Elder has been divorced twice and; “Elder is currently engaged to Joy Mitchell, a victim’s advocate at the DA’s office”. In this day and age that’s hardly news. However, there is more to this story. In fact, they have been “engaged” for years. So, what does engaged really mean? When you’ve been living together for years one would wonder if there are not other factors involved. Why haven’t they gotten married? Many would not care if they lived together for a while prior to their wedding, especially because they have both been married before. Sources tell us they have been living together for many years, possibly up to 8 years. So are they really motivated to get married or do they just want to live together? Why have they been “engaged” for so many years? Could there be other reasons? Maybe financial reasons? We have provided many articles showing Bill Elder is all about the money. Could his reasons for not marrying also be about the money? Recently a source close to Bill Elder provided us information which might explain the extra long “engagement”. It’s all about the money. As it turns out, Joy Mitchell’s divorce agreement states she is to receive over $1,300 a month in alimony (not child support) from her ex-husband until she remarries or co-habitats. So, if they were to marry she would lose all this money. Of course she has been living with Bill Elder for years so she should have already given up the monthly payments; but it’s our understanding she continued to received the money until the agreement recently expired. Maybe that explains the reason Elder and her recently purchased a house together. Do the math; if she received $1,300 a month for 8 years that’s over $120,000. Was the real reason they have not married all these years is so they could financially gain from her ex-husband? Really? So, their values and morals have a financial limit? Does character have a price tag? Should a person have character until it cost them money? So, between the choice of doing what is right and financial gain; Bill Elder chose MONEY. Bill’s theme song. Now that the money has dried up maybe they will set a date. How about a road trip to Vegas? Maybe they have already married and not told anyone? Bill Elder doesn’t want to pay more in taxes? At what price does character no longer matter? 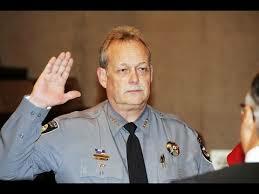 Should our sheriff have the same values as our community? Should he set an example? It is common knowledge Bill Elder and his girl friend are living together and have for some time; that is not the story. But saying you are “engaged” all these years to somehow morally justify it is insulting. This goes directly to their character. 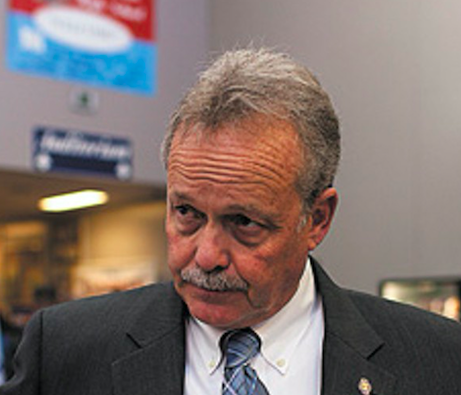 It is a fact Bill Elder is taking taxpayer money designated for overtime, training and equipment for his deputies and giving it to his cronies for huge salaries. Read Story. We now know Elder and his live in girl friend have been taking money, they were not legally or morally entitled to, from her ex-husband for years. That is the story. This goes to character. When faced with a choice of doing what is morally right or taking the money; they chose money.